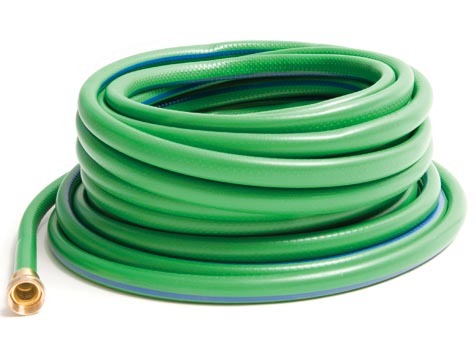 Traditional garden hoses are filled with all kinds of toxins. If you’ve ever heard not to drink from the garden hose, this is the main reason not to. You want your garden hose to be made from recycled materials. Rubber & polyurethane are the two champs now. Shoot for no lower than 50% recycled content. If you can find 100% that’s even better. Also remember to purchase a hose that has UV protective coating on it so this way it can avoid cracking after being exposed to the sunlight. Your nozzle for the hose can also be made from recycled materials. Look for a nozzle that is rust-resistant and lets you choose water flow pressure. You won’t always need it at full blast. If you found this article valuable then sign up for FREE green tips by clicking that little box on the right hand column and you'll receive awesome tips on going green and also sales on our products. The use of Greenhouses is becoming a more popular in know days just because of its positive feature which effects on the growing seeds of gardening. By using the greenhouse the every gardener can make the big profit for their gardens and can produces the quality foods form the seed.